Every Direction is North, a multi-media exhibit with video, artist books, paintings, drawings, & sculpture by artist Shawn Teseo Ballarin, is the featured exhibit in May/June at the Petshop Gallery in Benson. An opening reception for the exhibit, which runs until June 24, is planned for May, from 7-10 pm, during Benson First Friday. 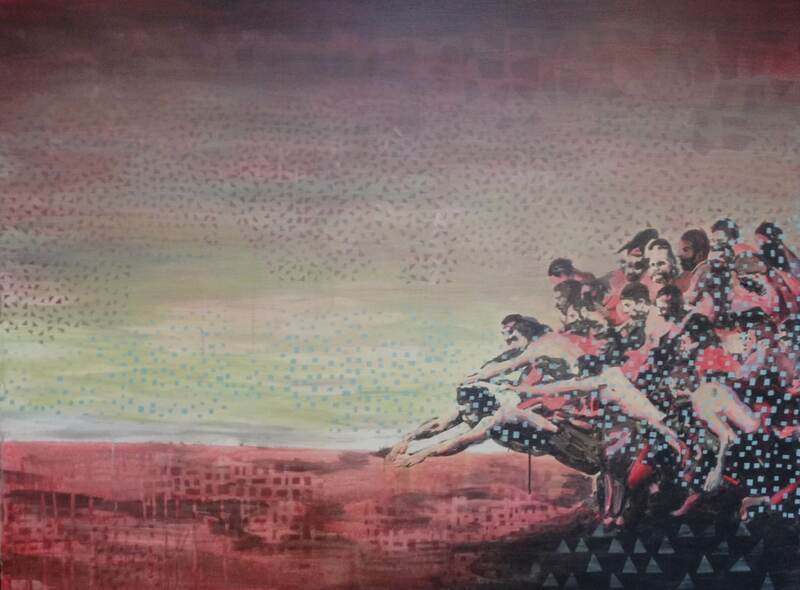 Ballarin is an artist living in Lincoln, Nebraska and represented by Gallery 72 in Omaha. He has worked in two print shops, printing and exhibiting work at Chicago Print Collaborative in Chicago and at Constellation Studios in Lincoln. His work includes album art that appeared in both Rolling Stone and Spin magazines and several murals, including one that spans 250 feet near Wrigley Field in Chicago. The artist’s primary form of expression is painting, though Ballarin says elements of printmaking are incorporated in most of his work. “My process is a combination of painting and printmaking,” he said. “Before I start painting, I spend hours meticulously cutting stencils, which I later print into the paintings, often in many layers. When I paint, I never start by making sketches. Rather, I paint in a loose manner allowing layering, accidents and surprises to occur as each painting develops. Ballarin’s paintings explore the themes of travel, isolation and change through simple, sometimes primal subject matter in a style that leaves much to viewer interpretation and engagement.